The dual enrollment program at Loganville Christian Academy enables high school students to participate in dual enrollment classes with Truett-McConnell College. This pursuit of postsecondary coursework allows students to receive dual high school and college credit in the areas of College Algebra, American Literature, American Government, and English Composition. LCA students are able to graduate with up to thirty-six hours of college credit. Below are three examples of students who have benefited from LCA’s dual enrollment program. Cassidy (Greer) Earle graduated from LCA with twenty-four credit hours of dual enrollment that she took through Georgia Virtual with Mrs. Corrente. 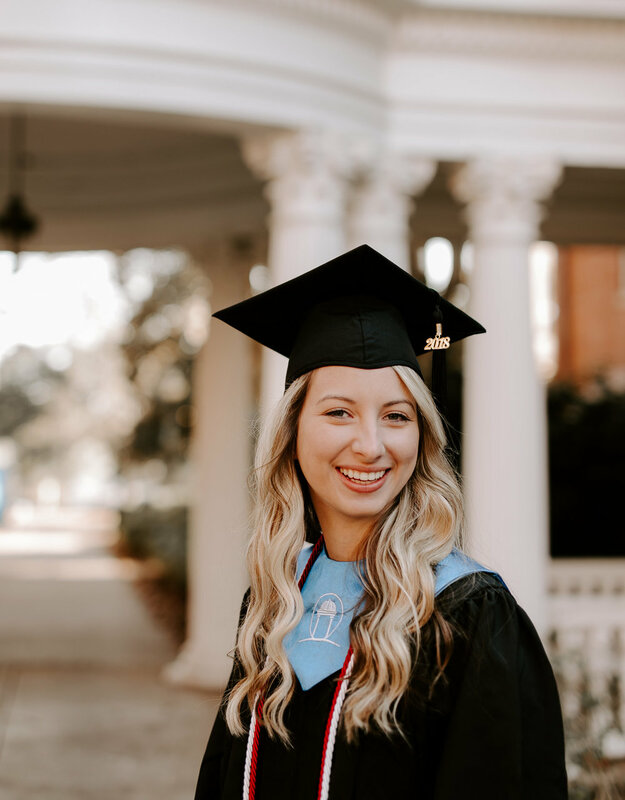 Because of the headstart she received while in high school at LCA, Cassidy was able to graduate from UGA two semesters early. Her major was middle grades education, and she now teaches middle school math in Fulton County at Hopewell Middle School in Alpharetta. Cassidy said that she is the youngest Professional Learning Community leader for a group of math teachers at her school that focuses on creating rigorous common assessments, analyzing data, and creating remediation and enrichment opportunities for students. After finishing her master's degree in instructional technology in December, Cassidy is part of a technology integration team in the county in which she attends training on personalized learning and then trains teachers at her school with the technology. Another student, Maranda Blum, graduated from Georgia College this month as the valedictorian of the class of 2018. Miranda had graduated from LCA with twelve credit hours of dual enrollment and two AP classes. While at Georgia College, Miranda majored in mass communication and plans to stay in Milledgeville through May, serving as a staff coordinator for the Georgia College Wesley Foundation. 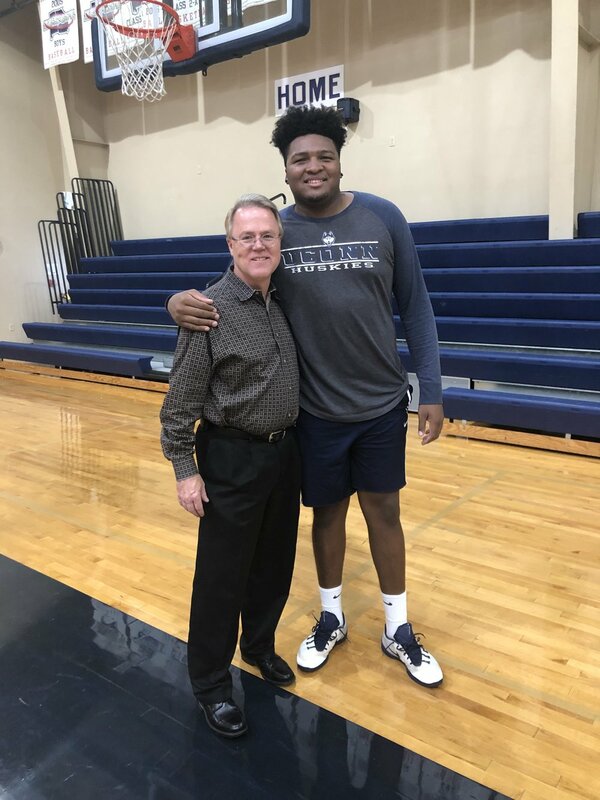 Recently, Devon Ford, another alumni of LCA returned to campus to assist Coach Davis with varsity basketball practice. Devon took one dual enrollment class while at LCA and is currently attending Southeastern in Lakeland, Florida, for prelaw. In addition to attending college, Devon has been a JV and varsity basketball coach at a 3A private school near Lakeland. Ford shared how he will be graduating a semester early because of the dual enrollment class and three summer courses he took while in high school. Devon plans to attend the American University Law School in Washington, D.C. a year from now, focusing on corporate law. The administration and faculty are always excited to have alumni return after graduation and let us know what they are doing. LCA is happy to offer a dual enrollment program to benefit our students.